The Common Fund for Commodities (CFC) is accepting applications from the organizations that are implementing Commodity Development Activities in the member countries. The Common Fund aims to realize the potential of commodity production, processing, manufacturing, and trade for the benefit of the poor. The Fund supports commodity based activities along the entire commodity value chain which extend across local, national, regional and international markets. The CFC supports activities that promote the development of commodity sector and contribute to sustainability in terms of social, economic and environmental development. Grant support will range between USD250,000 and 1,500,000 to carry out the proposed intervention. The CFC will provide funding for up to 7 years in which the first 2 years is the time for disbursement of funds and next five years are for repayment of debt/loans/repayable grants etc.). Successful applicants will be notified by 8 May 2015. Applicants can be public and private institutions, bilateral and multi-lateral development institutions, cooperatives, producer organizations, small and medium enterprises, processing and trading companies, and local financial institutions. Applicants must operate in commodity value chains or provide financial services to small business operators, SMEs, cooperatives, producer organizations. Applicants must have a proven track record in the proposed activities; and the technical, managerial and financial capacity to effectively and efficiently implement its activities. Proposed intervention must accelerate growth and/or, increase employment, enhance livelihood opportunities and income and reduce poverty. The application must clearly state the essential development impact indicators (beneficiaries and incomes; and impact on the environment) and additional development impact indicators as applicable for the proposed activity (impact on value chain; and impact on the market system). Proposed activities should have the objectives that are achievable within a specified period of time. 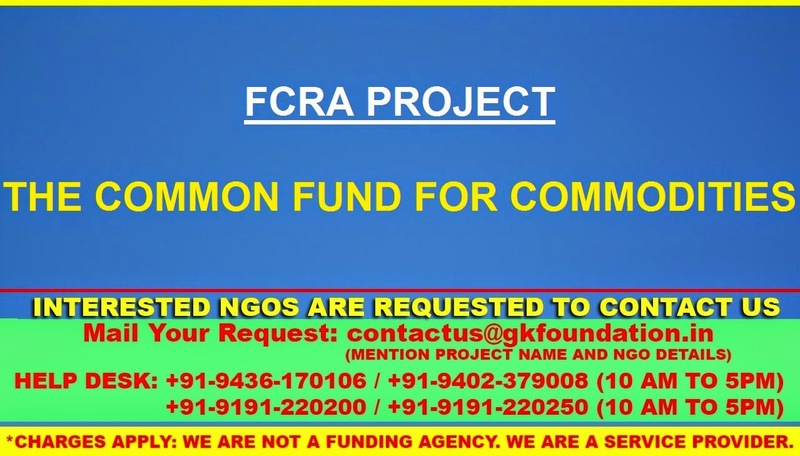 The applicant organization must provide matching funds from their own resources (and those of their partners or third parties, e.g. bank loans) at least equal to, or greater than, 50% of the total cost of the project. Proposed activities must be innovative targeting new opportunities in commodity markets leading to commodity based growth, employment generation, increase in household incomes, reduction in poverty, and enhancement of food security. Proposed activities must have a potential measurable positive socio-economic and environmental impact on the stakeholders in commodity value chains as compared to the prevailing baseline situation. The completed application form may not exceed 20 pages (single spacing, font size 12) excluding tables and annexes. Application must be submitted in English language.